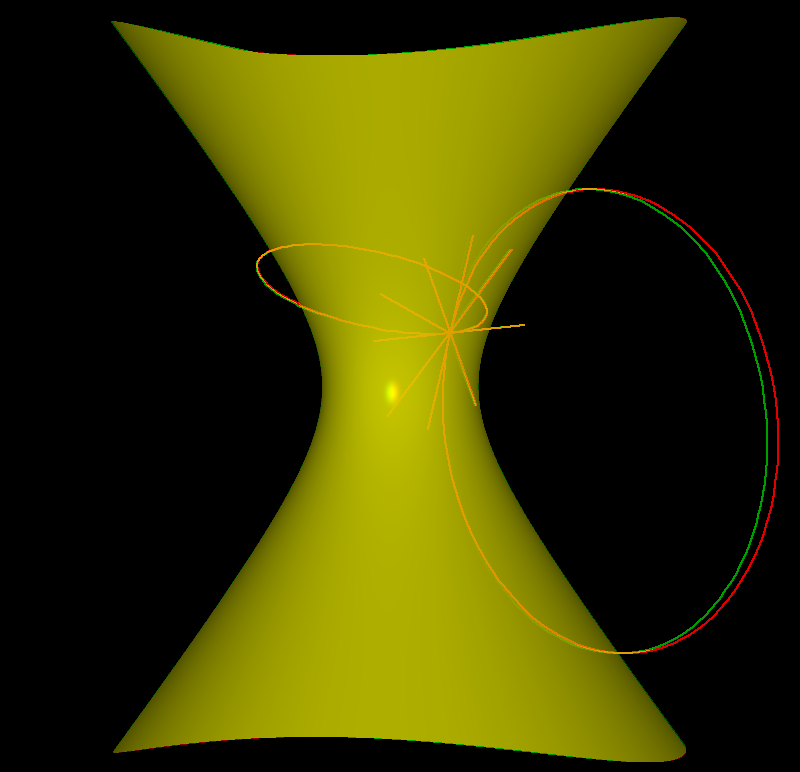 A family of hyperboloids of one sheet, standard parametrization. 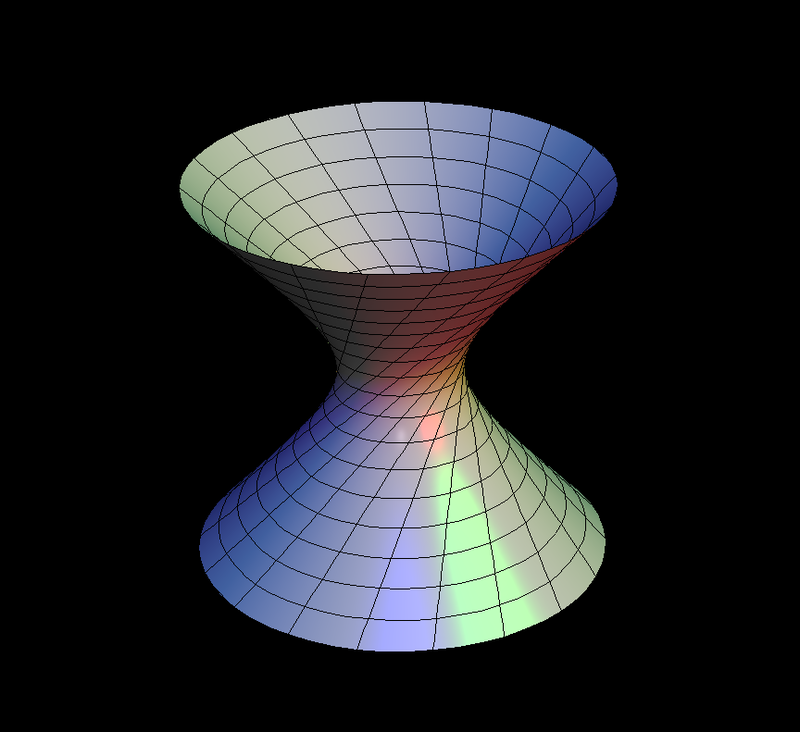 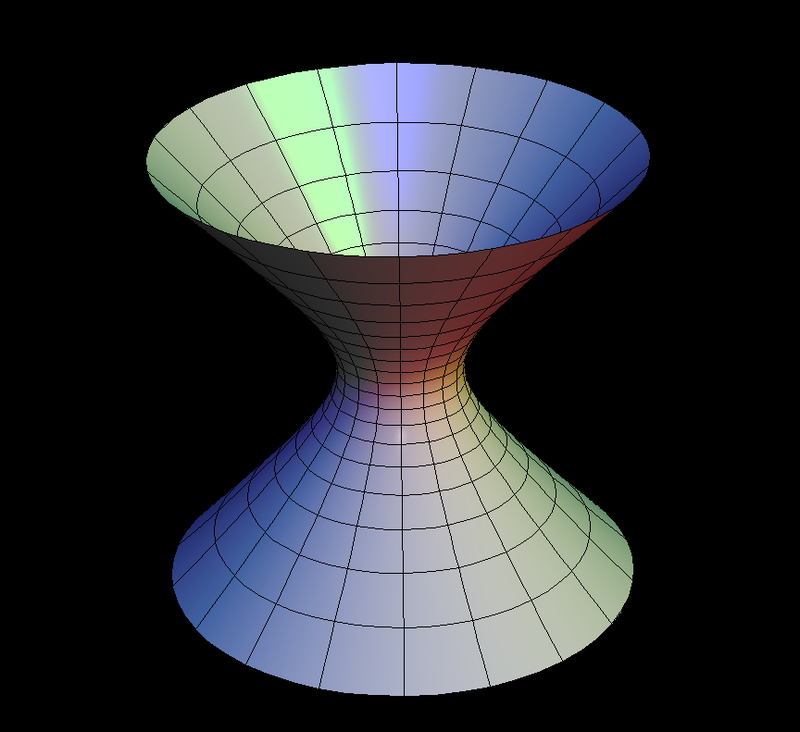 family of hyperboloid of one sheet, longitudes replaced by straight lines on the surface. 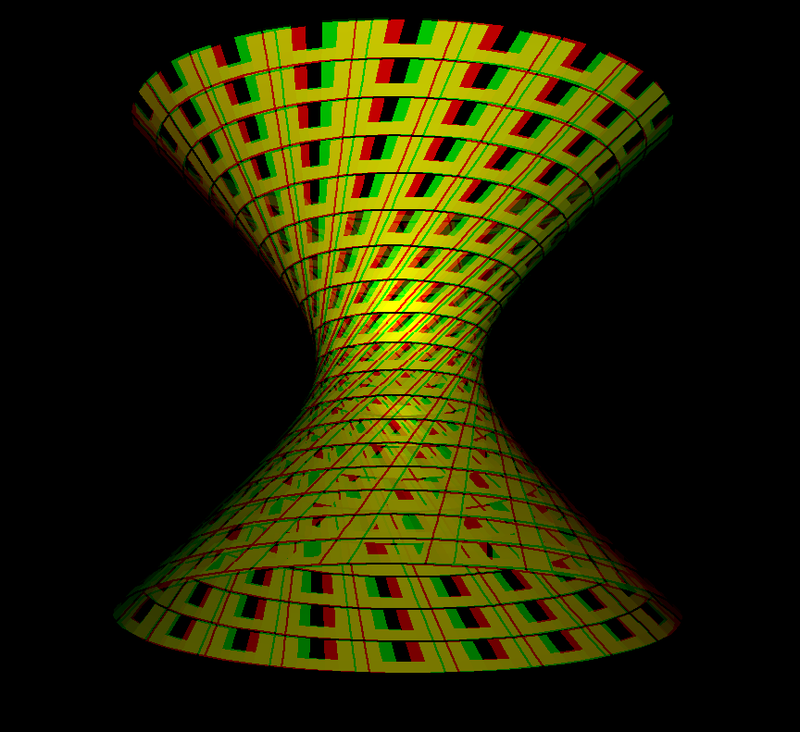 Image emphasizes the straight lines, anaglyph. 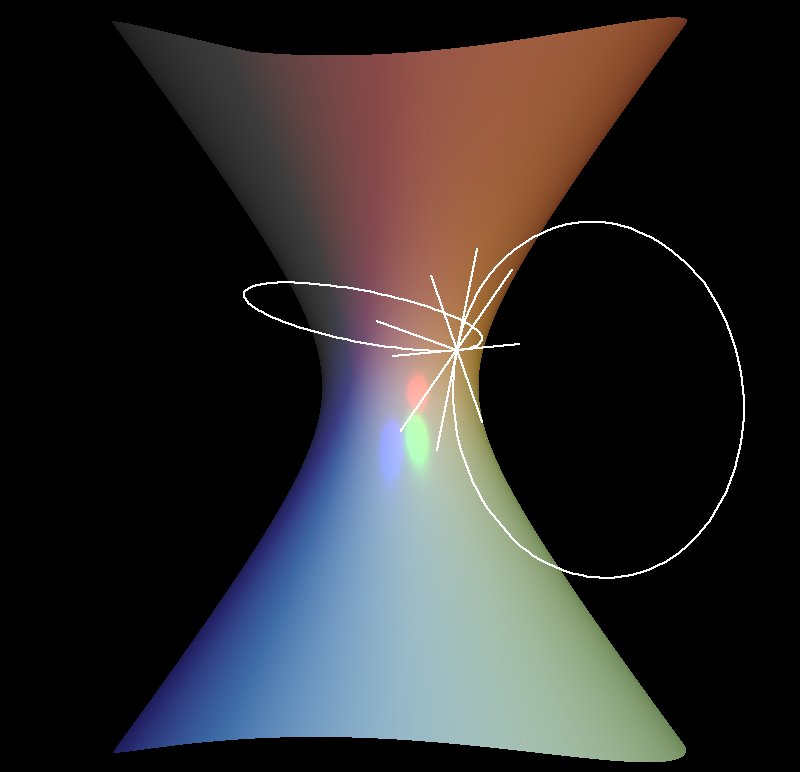 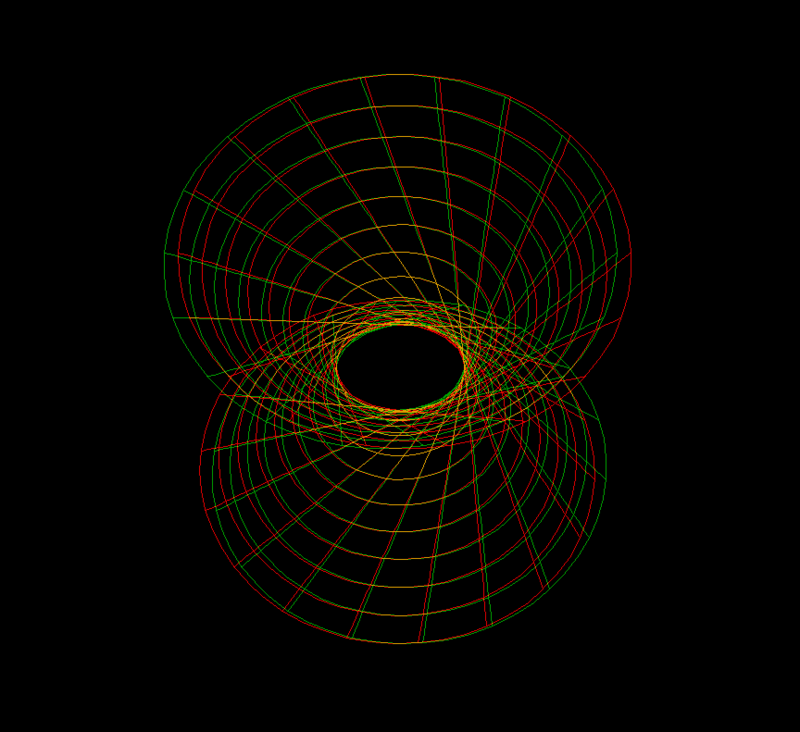 Raytraced image with one pair of principle curvature circles.